Chipping Sparrow. Blogging through the Alphabet "C"
click image to go to source: Joseph v higbee. We needed to use our bird book to identify him. He didn't stay long, only a day or so. but it was fun to see him and the missus while they were here. Anyways, Marcy is going through the Alphabet again .. join us won't you with the letter C? This is the time of year when my son and I battle. We battle over... do we stay indoors or head outdoors? Do we do book work or natural life learning? Can mom find a way to sneak in schooling while the lad is busy with other stuff? The lad likes to eat it raw and plain. I'll take it cooked or raw sprinkled with sugar. Dad likes it cooked. Today we compromised...the lad had two bowls raw, and I put the rest on to cook. We'll be making some rhubarb sauce. Do you know how simple it is to make? Cut up some rhubarb, some like to peel it first, I don't bother. Put it in a pan, add a touch of water.. more or less depending on how runny you like it. NOTE: if you make it too runny just pour off the excess and have rhubarb juice..mmm YUM! :) It's excellent in punches as well. Then cook until it's all tender and mostly falling apart. I like to start it and then add abit about half way through. That way I get some chunks in it too! Then sweeten to taste, using your sweetener of choice. So what do you do with this deliciousness? Or use as a topping over ice cream, rice, pound cake etc. Preheat the oven to 350 degrees F (175 degrees C). Grease and flour a 9x13 inch baking dish. 1 cup sour cream (we used greek yogurt) sometimes you need to add 1/2 cup more. Sprinkle the mixture on top of the cake then dust lightly with ground cinnamon. Bake in the preheated oven until a toothpick inserted in the center comes out clean, about 45 minutes. I wanted to do this review and yet I was a bit scared to sign up for it. The review called for doing two lessons a week of 1.5 hours at a time... I know my boy, I know what he thinks with reading/writing.. and this was a solid concern for me. I wondered how I was going to do it, hubby assured me that I should be able to break it up over the course of a day so I was encouraged to try it out. I received the Manuscript version. Age Range: Age 7 to adult. Price: $243.00 for the complete set. Available in Manuscript or Cursive editions. We received Logic of English Essentials the complete set, for manuscript. The lessons start with just reviewing the sounds of the alphabet but by paying attention to the shape of the mouth and what your teeth and tongue are doing. How we used this program. I have to admit, I tried the 1.5 hours in this house. Doing it in one shot, doing it over the course a day.... The result was this: one unhappy dad because of one VERY stressed out son. NOT WORTH IT. A stressed boy child, causing a stressed dad, which just makes the whole household a mess. So I said.. I have to make this work. I know I"m not the only family who will struggle with the intensity, so how can I make this work for us....There must be a way. So I backed things up. We did one lesson a week. Doesn't seem like much, but it was highly effective and since there is SO MUCH information in the quality teacher's manual it worked for us. I now have a lad asking me "Mom, how do I write _____?" The other day he composed a song and was helping me copy out the words for it. I am STOKED! My boy... wants to write and read more!!!! WOOT WOOT! "I read better mom. I can spell words better too!" He's learning why the English Language is written as it is. And why it's confusing sometimes, and he's not stressing out over it. :) I am SO pleased. I have to admit... sounds are hard in this household. I find them hard myself and I am often found mispronouncing words. ONE THING I wish they had was an actual sound component, as quite honestly.. I don't know how to make the some of the different sounds that letters makes. I don't. I'd love to actually be able to hear someone say them. I don't know what the logistics of doing that would be though as how do you contend with accents and regional differences in sound? One of my friends used the program with my son while I was laid up recently from surgery. She is VERY interested in getting the program to use with her children. She found it easy to use, likes that she can use games with all her children, and that she can do it all in an hour or so, or she can break it down into shorter segments like I do. Essentials is a systematic system to teach spelling, reading, writing and grammar. So just how do the lessons break down? Each lesson is clearly laid out in the teacher's manual. I'm going to use one of our recent lessons as an example. At the start of the lesson there is a box that how what will be the focus of the lesson. For lesson three that means phonograms "er, or, ea, sh", exploring syllables, spelling rule 4 and grammar will be irregular plurals and non-count nouns. Part One starts with a list of items needed: flash card for the phonograms, spelling rule card 4, phonogram game cards. Then off to learn the phonograms one card at a time. Learning the sounds of each. Syllables. Learn the shape your mouth makes with different sounds, figure out what your tongue is doing as well. Watch what your mouth does as you make vowels and consonants, The opening and closing of your mouth is a beat. And from there the lesson goes on to explain what a syllable is. And then one learns how to listen and sound the syllables in a word. (my son was intrigued by this and practiced several times with different words like Fireheart and Cinderpelt. " Mom.. They have three syllables right?" Part two calls for doing a spelling list. My approach as to say the spelling word, use it in a sentence and then as carefully as I could enunciate the word. I wouldn't correct his spelling I would just say the list. Then I would go back and say the word, use it in a sentence, and the spell it out loud. The lad would tell me yes or no and then we'd compare the two, trying to sound out what the difference was. The lad found that to be very helpful. He really liked the last part of the spelling list when he needed to come up with new words based on the word used. Sometimes it was a struggle for him... like.. MOM... YOU can't make a word from seven!!! So I'd challenge him a bit on that.. and eventually he'd guess something We would often do this part walking up and down the stairs. For some reason that action took the pressure off and he would just think and walk and then say various words to go with the spelling list. Part three covers grammar .. reviewing what a noun is, and introduces irregular plurals and non-count nouns. This area also includes dictation and composition to be done orally. Vocabulary is also developed. Logic of English is a definitive go to resource in our household. We will continue to work our way through the book. I am very grateful that we had a chance to review this very solid curriculum, developed by people who definitely have a passion for helping people learn how to read well. I do hope that you will click on the banner below to read what other TOS reviewers though of the Logic of English products. We did review several of their products. Did you know that you can also find Logic of English on various social media platforms? 1. Go to Lisa-jo Baker and learn what the day's word is. Today it is Grateful. 2. Write your post in FIVE MINUTES. That's the rule. No editting or looking back, just five minutes of pure writing. 4. Encourage the person who linked up before you. I tend to do two as link-ups sometimes mess up the order. BUT encourage those who have gone on before. As I sit here this morning at 20 to 8 I realize I have so much in life to be thankful for. So I thought, given the opportunity, I will list off some of them. 1. I am grateful to a surgical team that was able to operate on me so that I have had a week so far without a bloated gas belly. It's so nice to not be so very gassy all the time. Makes it much easier to accomplish tasks. 3. I am grateful to my bunnies. 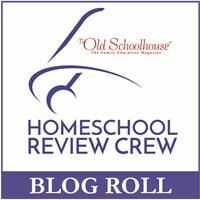 They help provide dollars for homeschooling, they provide entertainment, they provide moments to trust God (when someone steals one), they fill a gap in the need to care for something small and furry. 4. I am grateful for being part of the TOS crew. This has been a HARD year for me health wise, and last night one of the crew folk sent me a facebook, alerting me to an idiotic mistake I did on my last review, allowing me to fix it before the deadline to prevent an "official" email telling me of my error. Being part of the TOS crew has allowed me to get some quality homeschool materials that otherwise I wouldn't have gotten, it's allowed me to help other people make curriculum decision, and it's just plain been fun. It's an excellent community to be a part of. So what are you grateful for my readers? Also linking toEssential things Friday. in the bed below we planted some potatoes. I know... doesn't look like much yet does it? You can see some grain coming up from the rabbit waste... soon it will be big enough to cut down and by then the potatoes will be starting to come up. Looking forward to that. :) (so are the rabbits...regarding the grain). In the bed below we planted pea, various lettuces, carrots, spinach, radishes and parsley. Planted lots of parsley. I had hoped my parsley from last year would over winter but it was just too cold a winter for it so it didn't survive. We like parsley and it's also excellent for bunny tummies so we always grow lots of it. We also have a short row of beans. I need to get some more bean seeds. I am so enjoying my spring flowers as they come up. I have several different kinds of daffodils. I have some tulips (they are blooming today really nicely) in the hot spot of our back yard. Hyacinths scattered in various places... purple, pink, white... I think the purples are my favourite but somehow I didn't get a picture of them. These pinks are a close second. My rhubarb is coming up well. I'm looking forward to making rhubarb cake again. Spring has sprung! Green things are growing! I've even been able to get some bunnies out for the day into an outdoor pen! Mom? Can We Please? Do you think they are out yet? I don't know Lad, shall we go see? So with anticipation and rubber boots on foot we headed out to McNaughton Park. No frog or toad eggs were there in sight... NOT A ONE! The only thing the lad managed to catch were two big water striders who got the fright of their life. For according to google... mid to end May is when they should be out... and that's just days away! :) (I foresee many more walks in our future). It was a lovely day outside, a great 30 minute time of discovery. Received: MP3 Version of My Name is Handel:The Story of Water Music; and Mike Mulligan and His Steam Shovel. Also received the activity books for each as PDF's. Price: $9.98 for download, $16.98 for CD. Age Range: The ideal age range for this is 4 and up depending on the CD you are using. Just so you know though... EVERYONE in this household likes these. Ages range from 8 to 48. I have to be honest... we didn't pay a whole lot of attention to the activity books that came along with the downloads... until it was crunch time and I said OH!!! We gotta do the books too! So off I rushed to show them to the lad. "Mom? Why would he do that? Couldn't he walk as fast as the people could carry him? Why would he want to sit down and be carried?" Recommended listening age is 5 and up. Moving on to Mike Mulligan the oft repeated query was.. "Mom, did this really happen or is it just a nice story?" My response was I didn't know, but I thought it was just a nice story. BUT we later learned that Mike is a person and Mary Ann is a toy. "Okay, I like how they tell it mom, it's a good story". Suggested age for Mike Mulligan and The Steam Shovel is 4 and up. In the activity book that came with it there wasn't as much detail as with Handel, but they had a variety of activities children could fill out. My son wanted to do this one, and then we sounded it out on our keyboard. I would have loved to have seen more information on steam engines and to learn if it was even possible to turn one into a heater. Maestro Classics has an educational area. You may wish to check it out. They don't have material on there for every CD they have published, but they do for most. While we were on it we were advised to check out the Budapest Xylophone so we did. Here's the one we liked the best. Our family opinion: very well done product, we'll be looking into getting more of them. Mike Mulligan and His Steam Shovel. I was out for a walk a while ago with my son... the snow was just starting to disappear and I mentioned to him that I tend to hate this time of year.. the time between the snow and the green. It was such a "blah" time of year for me and that I hated it for years until I learned something important. "What's that mom?" was his query. "Well..." I responded "I learned to look for the beauty. Even in ugliness there is beauty somewhere... sometimes we just have to search hard for it." When we got home I pointed out the flowers above.... here we have beauty. These tiny snow drops. They are always the first flowers I see in the spring... and I have to look for them as they don't leap out and say LOOK AT ME.. the way that daffodils do. So here I am.. within two weeks... searching for beauty hidden in the dirt....and later finding boldness. It's kinda like how life is right? I search for boldness in my walk with the Lord. It took me AGES to be able to talk about my faith on my blog.. at least in a real manner (beyond saying that I went to church or sent the lad to VBS)... Boldness in faith has been a learned thing for me. It's still a struggle at times and I wonder why that is? Why are some people so easy in their faith? Finding ways to talk about it as naturally to them as breathing...and others, who faith is just as real, struggle with it? I don't understand this.... but seeing it in my own life, helps me have empathy with those who feel brow-beaten by those who share so easily about different aspects of their lives. Finding beauty in ugliness has also been a learned thing. It's so easy to be off put by someone's looks or manners or circumstances surrounding their life, but God kept placing me in situations where I had to look for it and if I looked... I found it. I have found it in the smile of a handicapped child stuck in a wheelchair unable to move, I have found it in a rather ugly baby rabbit (and yes.. they do exist) who is the friendliest most curious of the litter who makes you smile as it tumbles out the cage in it's eagerness to say hi, I've seen beauty in the lady who has an angry face (as a good means of defense) but has the kindest heart I've ever known. Beauty and Boldness... those are my "b" words of the week. Where have you seen beauty and boldness? Do you struggle to find them? Do they come easily to you? So tell me... what are your "B" words of the week? Will you come by and join us?? The lad and I have done a variety of things as we've studied nature. I created a page where we can put up a picture of the animal tracks and where we found it, and the lad could draw a picture of it. I unfortunately can't find it! Nor can I find any examples of it. We stopped doing it after a while as the lad said "no mom, can't we just watch them and learn?" So now we capture things and the lad has fun learning from them that way. That's the thing eh? Children go through cycles of how they want to learn about the world around them, and one adapts to that. :) It's all good. 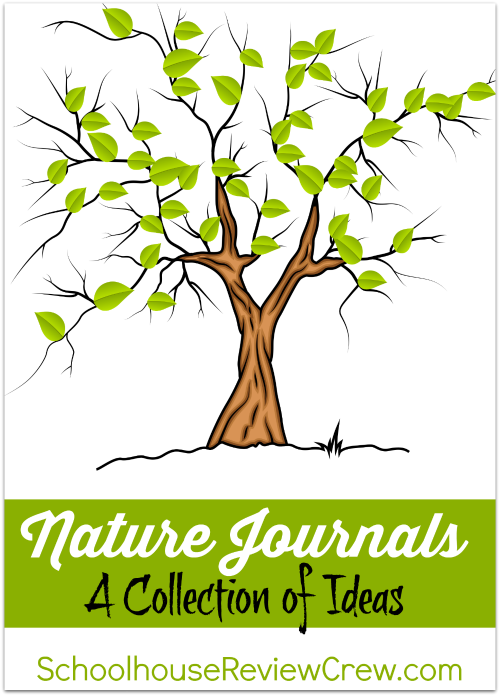 There are some useful sources out there for making or using nature journals. The following are pages I have used. The nature study pages from Patriots of the Republic. Nadene of Practical pages had a nature study journal that we used off and on as well. When you journal you can journal all sorts of things and even create graphs to go with them. You can go out one day and count how many buggy type critters you can find and document that one a graph. You can do this flower/flower colours, types of trees, birds, animals etc that you see. Nature journaling isn't just writing things down, it is graphing, research, maps, drawing, art, plotting, observation, science, geography and so much more. How to make a nature journal.